Remo Nutrients offer a complete feeding schedule that gives plants a perfect balance of essential vitamins, minerals and extracts allowing them to be strong and healthy during vegetative growth, and to maximise their full potential during bloom. Developed using pharmaceutical grade ingredients at their facilities in British Columbia, Canada, Remo Nutrients are now a serious player for base feeds and supplements in the hydroponic industry as the results speak for themselves. The Remo Supercharged Grow Nutrient Kit gives you a complete feeding programme to satisfy all your plant needs from start to finish. The complete kit includes base feeds for vegetation and bloom, boosters, enzymes and additives. 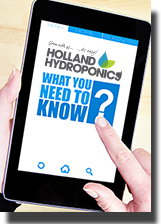 You'll also find a useful feed guide and some grow room shades! Remo Nutrients Micro, Grow and Bloom base feeds have been designed with plant growth and health in mind, ensuring that all macro and micronutrients are easily accessible at all times. This foundation helps to give your plants a brilliant start, middle and end, helping to achieve maximised yields and tastes. VeloKelp is a foliar and root growth supplement, filled with vitamins and seaweed extracts (one type from the Atlantic and one from the Pacific) that is designed to support a budding garden. Nature’s Candy is a unique blend of carbohydrates and amino acids that supports and promotes beneficial bacteria and fungi development. MagNifiCal provides essential macrominerals to your plants, and does so quickly thanks to those minerals being super chelated. This formula was specially designed to speed up plant absorption rates, and it sure does the job. Your plants will be reaping the benefits within just a couple of hours after use. AstroFlower targets optimal bud and flower development to give you a bigger and healthier plant. The production of essential oils and aromatics is also increased helping with the resulting flavours and aromas of your yield.